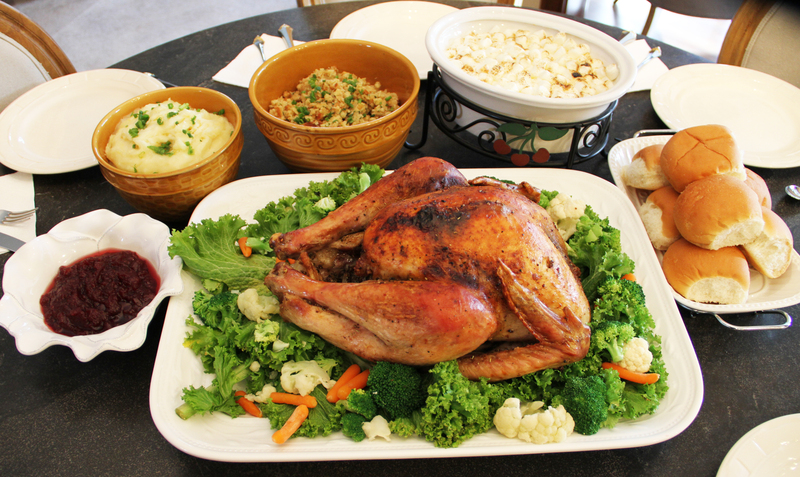 Fall and winter months feature several holidays that are often food-focused. The greater-than-usual exposure to food can be stressful for the parents of children with severe food allergies. DENVER, CO — More than any other time of year, fall and winter offer a succession of holidays that are often food-focused. Starting with Halloween through Thanksgiving, Christmas, Hanukkah and Valentine’s Day, food is often the centerpiece of many celebrations. While the tradition of serving certain foods at certain times helps to create meaning and memories, it can also make many families uneasy. According to a recent study by the Centers for Disease Control and Prevention, food allergies among children jumped 50 percent between 1997 and 2011. Today, nearly 6 million children in the United States have some form of food allergy, and young children are affected most often. Cross-contamination occurs when protein from one food is transferred to another, either directly or indirectly. Removing peanuts from the top of a dessert, for example, does not mean all peanut residue is gone. The dish is likely still dangerous to those allergic to peanuts. Indirect cross-contamination can occur, for example, when the same knife is used to cut different dishes without thoroughly washing the utensil between uses. “With all of our patients, we stress being prepared and having a plan in place for how to deal with those surprises,” said Lanser. Here are 6 tips to help head off any holiday hazards you may encounter. Stock up on epinephrine – Dr. Lanser suggests keeping two doses of epinephrine on hand. “What we find is that many times parents or adults panic in the heat of the moment, and don’t administer the drug properly the first try. Having a backup is always a good idea.” During the holidays, parents should also check expiration dates on their epinephrine and stock up on a fresh supply, particularly if you are heading out of town for the holidays. RSVP, A.S.A.P. – If your child is invited to a party this holiday season, get in touch with the host or hostess early on to let them know about your child’s food restrictions. “It’s a good idea to talk with those who are throwing the party or even provide them with a written list of foods to which your child may react,” said Lanser. Even if your child doesn’t eat the food that’s being served, it’s important to let the host know that the mere presence of certain foods may be an issue. Pre-pack a similar snack – To make sure your child feels included, pre-pack a safe snack similar to those being served at the party. “If the rest of the children are having cake or cookies, sending your child with carrots and broccoli can really make them feel isolated,” said Lanser. He suggests talking to the host to see what kinds of foods are being served, then sending your child with allergy-safe cookies or bake-and-take pizza, for example, so they don’t stand out or feel left out. Play host – The safest way to control what’s on the menu is to host the party yourself. Be sure to include information on the party invitation, however, that there will be allergy restrictions that need to be observed. “Let your guests know that you will take care of the menu, and ask them to bring non-food items, like drinks, plates or games for the kids to play,” said Lanser. “It’s really all about being prepared,” said Lanser. “This time of year you’re so busy doing other things and getting ready for the holidays, make sure you take some time to pre-plan for food allergy emergencies. It will help keep your kid safe and make the season much merrier,” he said. 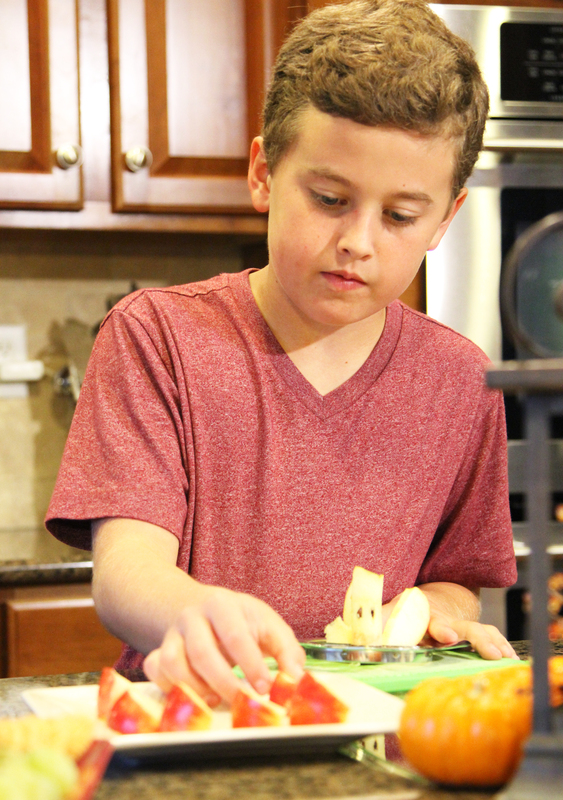 Because of severe food allergies, Zach Churchill, 11, of Parker, Colorado, prepares his own snacks to take to school for a holiday celebration. Dr. B.J. 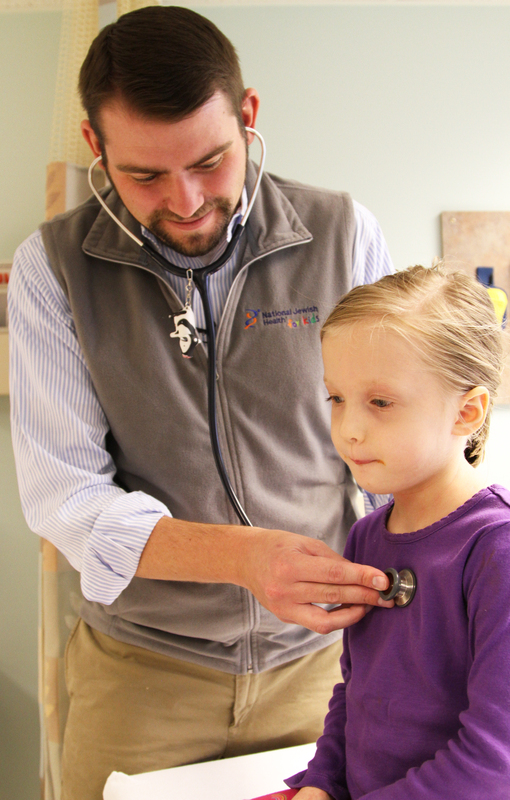 Lanser, an allergist at National Jewish Health in Denver, examines a child with food allergies. Regardless of how you present your holiday meals, experts recommend keeping all the original packaging it came in, so guests with food allergies can check labels to determine if a dish is safe to eat. 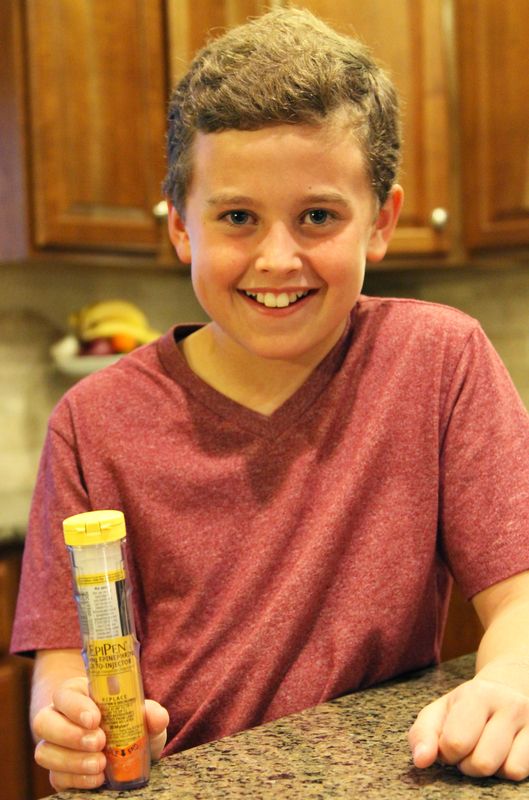 Zach Churchill, 11, of Parker, Colorado, carries epinephrine auto-injectors wherever he goes to counteract any severe allergic reactions he may have to food. This is especially important with more exposures to foods during the holidays.